As 2013 comes to an end, the book sales of many of The Bell 47 Helicopter Story have been mailed out to customers that pre-odered the book at the special price of $75.00. Numerous others have also purchased the limited edition book. Both Jeff Evans and myself saw an advanced copy of The Bell 47 Helicopter Story on November 5. The seven pallet order of just over 2000 books arrived on November 8, 2013.They were all unloaded and into my garage in less than 1/2 an hour. All were eventually stored downstairs within two weeks. One of the first to see The Bell 47 Helicopter Story was Mr. Larry Milberry, Canadian aviation author and publisher of Canav Books based out of Toronto, Ontario while he was at Freisens Publishers in Altona, Manitoba. He was there to oversee his latest aviation book printing on the Norseman history, Volume 2 in November 2013. On November 8, Milberry sent an email with a photo of him holding and pointing to a copy of the Bell 47 Book. Larry had the opportunity to go through Freisen's library copy of The Bell 47 Helicopter Story while waiting for his book to be printed. He said,"I had a solid go-through your book. It is really magnificent, in the world's top ten for sure. I am sure any Bell 47 fan will absolutely have to have a copy." Complimentary copies of The Bell 47 Helicopter Story were mailed out to numerous individuals that helped in getting the book published. Several complementary books were mailed to helicopter orgaizations and magazines in anticipation of future book reviews. The website: helicopterheritagecanada.com has sparked a lot of interest in the availability of the Bell 47 Book. Many broshures have been sent out with more to come. The first commercial sale occured on November 15 going to Toronto, Ontario. Just over 50 books were sold and mailed out by the end of the year in 1 1/2 months. There are numerous copies still waiting for the payment to arrive. Books have been sold as far away as in Switzerland, Austria, and England, along with sales in Canada and the USA. I expect sales to increase in the early 2014 new year. The Niagara Aerospace Museum in Niagara Falls, New York,USA website stated "The Bell Model 47 book has arrived and is ready for purchase. A great book on the history of the Bell 47. A must for all aviation enthusiasts." The Bell 47 Association, Inc. president Joey Rhodes said on their website, "I am pleased to announce to our membership that The Bell 47 Helicopter Story by author and B47HA Member Robert "Bob" Petite has arrived and is ready for sale..."
American Helicopter Society International executive director Mike Hirschberg obtained his copy on November 15. "Bob, I received the Bell 47 book in the mail just now. Words cannot describe how I am blown away. It is incredible!! We will publish a book review in the March-April Vertiflite." 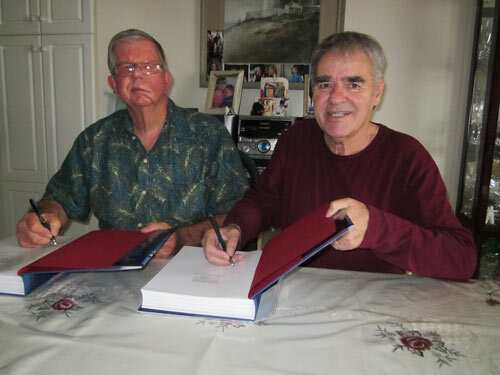 The book review will be co-authored by Todd Carlson and Parrish Kelley sons of helicopter pioneers Floyd Carlson and Bart Kelley. Roger Connor, helicopter curator with the Smithsonian Air and Space Museum in the USA said of the Bell 47 Book, "It looks fantastic. I will start working on a review." 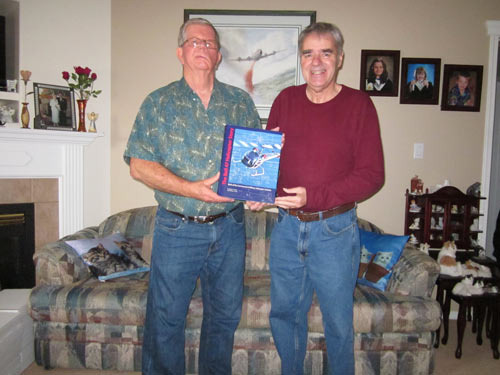 Vertical Magazine publisher in Canada received a copy of the Bell 47 Book. "Wow! What can I say? I don't think that there is anything else that I could possibly learn about the Bell 47. Well done," said Mike Reyno. Dr. Charles Lumsden in Toronto, Ontario commented upon receiving his copy of The Bell 47 Helicopter Story, "Hugh congratulations on this pace-setting achievement. I can not wait to get into a detailed exploration of your splendid work in the weeks ahead." "The BOOK just arrived,Wow! I guess I'll turn my phone off this afternoon and get comfortable, I'm looking forward to this." said Ian Macdonald in Ontario. "Your book is ABSOLUTELY AWESOME"! I am so proud to have played a small part in this wonderful piece of work. When I saw N140B in the Introduction section of the book, I was so overtaken by it that I couldn't even sleep...congratulations on this fine work," said Steve Brousseau in the USA. "Your fanstastic book arrived this afternoon! ...My sincerest congratulations to you and Jeff Evans for this historical masterpiece. Wow! You did not disappoint!...I was floored by the quality and quantity of these photos! Not to mention the enormous amount of historical data. You gentlemen have proven once again, that the old saying; Anything worth having, is worth waiting for, is so very true! The book is well worth it, and I mean every penny of it," commented Jeff Jankovics in the USA. Parrish Kelley, Bell 47 pioneer Bart Kelley's son, in the State of New York said," I am quite impressed with the depth and breadth of your research. This looks like the must-have book for anyone who wants to study anything about the early history of the commercial uses of helicopters.. If it had nothing but the pictures it would be worth having." Early 100 year old helicopter pioneer Jim Rickleffs said "The Bell 47 Story is a masterpiece." My helicopter pilot friend Ron Wilkins in Oregon, USA commented,"The Bell 47 Book is fantastic, magnificent and so much more than I ever expected...It is a world class book!! "It is very impressive, chock full of stuff I have wondered about.. I have only scratched the surface so far," stated an owner of both a Bell 47D-1 and 47H-1 in Ontario. "It is fantastic, I have a hard time at thye Niagara Museum trying to read it, everyone wanted to look at it. It has may early color photos I never seen before. Looking forward to reading it," said Paul Faltyn. "I was greatly impressed by the quality of the book and its pictures. I cannot wait to start reading it!" stated J.Marc Gagnon. "Your books are here in Ontario. All I can say is WOW! WELL DONE! Now this is a Christmas gift!" replied a happy customer. Canav Books publisher and author Larry Milberry commented in detail on the "Long Awaited Bell 47 History Now in Print" on his website canavbooks.com BLOG (Top rght hand corner) on December 8, 2013. Scroll down and check out his website and read what he says about The Bell 47 Helicopter Story. After that peruse what is currently available on the latest in books authored by Canada's premier aviaton history publisher. Larry Milberry has published some of the finest historical documentation of Canada's aviation past. New purchasers will not be disappointed in the quality and thorough research of any Canav Books. In the meantime, I will keep you informed of further developments on sales and up to date comments on The Bell 47 Helicopter Story in 2014.